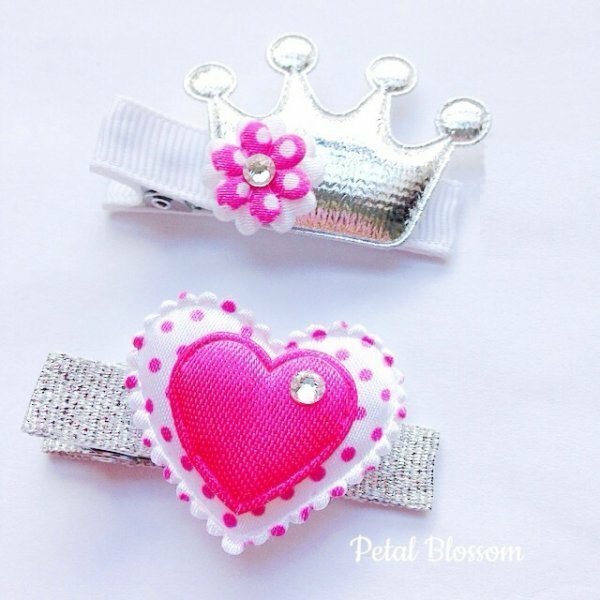 A sparkling set of hair clips fit for any little princess. One clip features a silver crown embellished with a white & pink flower. The other clip features a double layered white & pink heart accented with a Swarovski crystal for an extra sparkling touch. These are perfect Christmas stocking fillers or birthday gifts for your little girl, all little girls love to wear hair clips. Alligator hair clips measure 4.5 cm with non slip gips attached.